Hello to everyone out there in PFL land!!! This off-season the Rams set themselves up by acquiring 10 draft picks and UFA pick up, RE Shane Ray. These 10 pick will be used to fill some serious holes at WR, DT, QB, HB, and CB. The rest of picks will be used to provide depth at other positions by selecting the "Best Available Player". So let's just jump into the picks and I will provide the reasoning behind the selection. 1.4 WR Keelan Cole: WOW! I did not think WR Cole would be here. Thought for sure I would be picking a MLB or CB at 1.4 but with some interesting picks at 1.1 through 1.3, the best WR in the draft is now a Ram. WR Cole instantly becomes the best WR on the team and fills a huge need. 2.4 MLB Dylan Cole: So on to the second round. By this time in the draft 3 MLB's have already been taken. The question at this pick was either draft CB or MLB. With the CB class being a little deeper, I decided to go with the best available MLB. So the Rams get another Mr. Cole and fill another need since the Kirk Hendricks experiment failed. 2.9 CB Blake Countess: Five picks later the Rams are back on the clock and time to fill the CB position. Took Mr. Countess because he had a couple of good sim games and with a little luck with the rookie boost, he could be a really solid CB. Only time will tell. 2.17 HB Chris Carson:Eight picks later Rams are back on the clock. I was looking through the players taken and noticed that only two HB's were taken Breida and Jones. I did not have Jones ranked and knew this was the time to get my back up HB. HB Carson fell this far, unbelievable. HB Carson is nearly a carbon copy of HB Foreman. If Carson gets a good rookie boost, he will be better than the 1.10 selection. What a bargain. 3.6 HB Corey Clement: A busy day so far. Since, HB Carson fell I was watching to see who would jump on Mr. Clement. Well, no one did. This is my first luxury pick of the draft. Thought this guy would go in the early second round and to justify the pick, Mr. Clement will be my new punt and kick returner while providing depth at HB. Another steal, in my opinion. 3.31 ROLB Tyler Matakevich: Not much left in the draft... Mr. Matakevich is just depth. 4.4 QB Josh McCown: Well, no time like the present to fill the Back-up QB position. 4.7 MLB Patrick Onwuasor: More Depth. Overall, the draft seemed pretty good and ran smoothly. I liked the "Pete Russo Show". He can be brutal with his evaluations but nine out of ten times he is correct with his Madden assessments. HAGO! Well season did not go as planned and Rams finished off the year with 4 wins and 12 loses. Rams did have some bright spots that give us hope for the future. HB D�Onta Foreman had 1283 yards rushing. I set a 1000 yard goal for him this season. It took him awhile to get going but once he did he was solid. LE Joey Boa had a stellar year and led the league with 21 sacks at a ripe old age of 23 years old. Overall, the foundation is complete and with 10 draft picks in the upcoming draft the Rams look to add depth and a couple of key contributors that should push the team towards sustained competitiveness. Hopefully we can get rid of this "Ram's Rebuilding" sign soon! Hello to all in PFL land� Well not too much joy in Ram's Land... 1-6 is just horrible. QB Siemian is an interception machine and has a sub 50% completion average. The rest of the offense is also sub par and playing like garbage. This could be due to a bunch of items but young OL, QB and RB does not equate to wins in Madden. This is just a season to survive. The defense on the other hand has been playing well. LE Bosa has 11 sacks and the Rookie FS and CB have shored up the secondary. Overall the defense has kept many games close that should have been blowouts. Already looking forward to the off season. Post draft trades have netted the Rams 10 draft picks for next year. The re-building continues. 1.09 CB Kevin King: 26 tackles and one interception returned for a TD. Mr. King fits right in. 1.10 HB D�Onta Foreman: 160 attempts for 463 yards.... Not bad but not to great either. Only 2.8 yards per carry. He needs to step up and show why he was the second running back selected in the draft. 2.09 DT Malik Mc Dowell: Filled a big hole in the D-line. He has made a nice contribution to the overall defense with 3 sacks and 16 Tackles. 4.09 LT Antonio Garcia:33 pancakes with only one sack. He has been solid on the line but releases his blocks too early. 5.09 FB Lake Lane: Depth player and has been HB Foreman's back up. Nothing special. 5.11 WR Jehu Chesson: Depth player but had a couple of clutch catches in games. He is a little bit of a surprise. Hello to all in PFL land�. Well, the 2020 PFL Draft has come and gone. 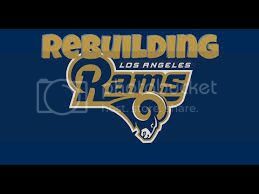 The Rams, having a good draft last year, look to build upon their success with another solid draft. Their 6-10 losing season can be explained in a couple of ways. First, starting an inferior QB and second, injuries to key starters. So, let�s dive in! The Rams, last year, gained and extra first round pick from the Titans in the QB Vickers trade which gave the Rams back to back top ten selections in the first round. The only other trade accomplished was with the Packers for aging WR Stephens which netted another fifth-round selection. 1.09 CB Kevin King: The Rams have an aging and short CB crew and was in desperate need of some new blood. So� since this year�s CB class is stuffed with talent. Let�s pick up a good one. I had Kevin King rated as the third best CB in the draft. Standing 6�3� with 94 speed, it is easy to see why. He is a plug and play starter without the need for any training camp points. �The King� will reign over the Ram�s secondary for years to come and bring pain and misery to those who dare enter his domain. Long Live the King! 1.10 HB D�Onta Foreman: HB Drake had a break out year but was sidelined with injuries that lasted quarters, halves and whole games. Definitely not a way to keep the starting job. So, enter D�Onta Forman. I had him rated the second-best HB in the 2020 draft. He is not the fastest back in the draft but he will pack a wallop. Mr. Foreman fits the Rams running style and has the injury/toughness attributes to stay on the field. Training camp will add to his already impressive attributes with points going on his awareness and carry. Welcome to the Rams D�Onta. 2.09 DT Malik Mc Dowell: This year the Rams jettisoned two aging DT�s with huge salaries. The salary cap is going down and the �big money� needs to be spent on position players that make a difference on the score board. The PFL is not the NFL and DT�s are just not as valuable. (Thank you ICL for proving that�) Now, this doesn�t mean you can put a 65 OVR guy in there and expect 10 sacks. So, at 2.09 the Rams pull the trigger on DT Mc Dowell. He has the basic attributes, 84 OVR and stands at 6�5�. He will line up next to another addition to the team. UFA pick up DT Matt Lyle. While I can�t say if the line improved but the holes are plugged and at a nice price. Major Needs Filled! Now on to the best available portion of our show. 3.09 FS Marcus Williams: FS Jones has one more year left and he is out the door. Since this will be a definite need for next year, the Rams decided to get proactive and draft one early. Mr. Williams fits the bill. Good size ok speed. We will give him a shot this year. 4.09 LT Antonio Garcia: Another player who is looking to fill in for an aging veteran. LT Collier is in his last year of his contract that comes in at 6m per year. Again, with the cap coming down economics will come into play. Mr. Garcia has the size, strength, with ok attributes. With some training camp points and a trip to Europe he will be starting next year. 5.09 FB Lake Lane: WOW! HB attributes as a FB. Got my #2 HB in the 5th. Yeah!! 5.11 WR Jehu Chesson: Nothing fancy here.... He just adds depth. Four starters are down and out for five plus weeks. Kiss goodbye any playoff hopes. The Rams are just not deep enough to survive this. Well 3-3...... Not bad.... Could be alot worse and with the injuries so far sustained it could, very well, be a long year. WR Walters and CB Holmes both starters and major pieces of both the offense and defense are out for 8 weeks. This is the second year in a row major parts of the team have been injuried. The Rams are not very deep on either side of the ball and these injuries plain hurt. So first a rookie review and then an overall offense and defense overview. 1.32 SS Keith McGill: He definitely stregthened the defense and has been instumental in making the Rams defense a top 10 unit. Only one catch allowed with 22 tackles.... Not bad. 2.7 C Kevin Dwight : Solidified the center of the OL.... 22 Pancakes and 1 sack.... Again not to shabby. 2.12 FB Keith Smith: Probable the reason why HB Drake has 598 yards this year with a 4 yard per carry average.... Keep up the good work. 2.19 QB Trevor Siemian: Has not played a whole lot.... 2 pass attemps and 2 incompletes.... He is still going to ride the pine. 3.14 RT Leslie Ingram: Super solid on the right. 35 pancakes and 1 sack..... Great pick up. 4.12 WR "OH"Tay Goodrich: Late round pick up that is going to get alot more playing time do to injuries to WR Walters.... 7 receptions for 81 yards so far and most of that was in 4 wr's sets. Let's see how he does in 2wr sets. 5.12 MLB Kirk Hendricks: Hasn't seen too much of the field because MLB Perryman is having a career year. Hopefully he will improve on his 6 tackles. QB Moore is an interception machine and has single handlely lost games. WOW pretty brutal but the truth is the truth.... HB Drake has had a pretty good year with nearly 600 yards on the ground and has kept the Rams in games that should not have been even close. Team effort all around... LE Bosa leads the team in sacks and the unit is a complete surprise to me. Ranked the 7th best defense in the league. It is funny how sometimes they play great together and other times they look like a mess left by a dog..... But all I ask is to keep the score close till the 4th quarter to allow the Madden Gods take over. Sometimes that's good and sometimes that's bad but at least it's a 50-50 shot. Looking forward to the rest of the year.... HAGO!!! The Rams came to the draft needing a ton of players due to players aging and salary cap issues. The idea was to trade down and obtain as many picks as possible. Two trades allowed the Rams to go into the draft with 7 picks. 1.32 SS Keith McGill: All 4 of my targeted first round HB are gone by 1.26 and I did not want to reach on any of the other HB at 1.32. So, time to shift gears!! I thought of taking a C here or a RT but decided to go with, in my opinion, the best SS in the draft. I watched him in the sims and he was all over the field making tackles and breaking up passes. McGill plugs a huge hole in the secondary and brings youth to the position after SS Berry was cut. 2.7 C Kevin Dwight Surprise, surprise, surprise!!!! Look who fell right into the Rams lap. I thought for sure he would be gone in the early 2nd. C Dwight fills huge hole on the OL. Rams are really happy to get this guy who was mocked in the top ten of the entire draft. 2.12 FB Keith Smith Last seasons FB's could not get the job done. They were blown up pass blocking and run blocking. I was thinking TE Doyle or WR Rogers but decided to go with FB Smith. He adds a blocking, pass receiving and a short yardage option that the Rams were missing last year. 2.19 QB Trevor Siemian My luxury pick! I thought of taking him at 2.12 but went with the FB need. There was a break in the draft and I was off to bed. I thought about all the players I could take and there were a lot with upsides and downsides but I always came back to QB Siemian. So, I pulled the trigger on, arguably, the best QB in the draft. In a couple years he will take over for QB Vickers at a very nice salary cap friendly price. Yeah! 3.14 RT Leslie Ingram At this position in the draft I felt like I needed to fill my RT spot. I really liked RT Al Murphy and was hoping he would fall a little more but he was selected at 3.7. Well RT Ingram was my second choice and he is still a starting option. He has all the attributes and is way better than anything the Rams started last year. So welcome to the Rams Mr. Ingram. 4.12 WR "OH"Tay Goodrich I was at work and unable to make any picks. I told my brother to draft me a TE or WR. WR it is! Yeah! I had targeted him pre-draft and figured he would fall into the 4th or 5th round. So right price for the talent. 5.12 MLB Kirk Hendricks I had my luxury pick already. So this was my "What the Hell" pick. He has garbage STR, INJ and TGH but he has great AWR, good SPD, AGI and ACC. Either way he's my back up MLB. I was surprised by a few picks in the first round and that 4 HB's were taken. I did not see that coming. I thought for sure one of those guys would be there at 1.32. I saw some reaches in the later rounds that left me scratching my head but that is how the draft rolls. I am overall happy with my selections because it's easy to draft best available when you need so much. Onward to UFA2 and the start of a new season. GM Mike Russo immediately after the season held a press conference on the state of the Rams organization. He announced a multi-year rebuild that will focus on core positions. "The draft and free agency will be used to solidify depth at all positions and fix the team huge salary cap problem. All positions will be reviewed, prioritized and ranked based on need." A quick look at the Rams organization shows salary cap issues, holes in the defensive line, defensive secondary, offensive line, running back, receiver, tight-end and quarter back. Just to name a few. GM Russo stated, " You can not win games if you can not run the ball between the tackles and you definitely can not win games if you can not stop teams from running the ball between the tackles." The Rams this year were horrible on both sides of the ball. "No ones job is safe!" was GM Russo's final statement to the press. 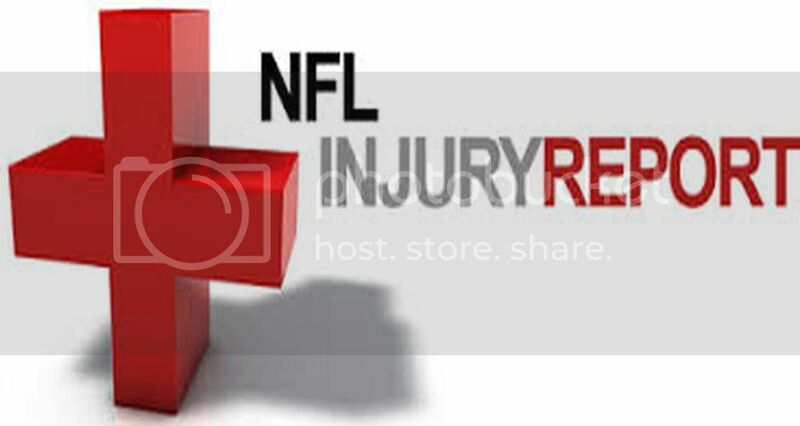 LOLB Neville Hewitt also sustained a 4 week injury. All Coach Russo could say was "When it rains it pours!"